James A. W. Balli is a partner at Sams, Larkin, Huff & Balli, LLP and is admitted to the State Bar of Georgia (1999) and the State Bar of Alabama (2000). In addition to all trial level courts in Georgia and Alabama, Mr. Balli is admitted to practice before the Georgia Supreme Court, the Georgia Court of Appeals, the Alabama Supreme Court, the Alabama Court of Civil Appeals, the United States District Court for the Middle and Northern Districts of Georgia and the Middle District of Alabama, the Armed Forces Board of Contract Appeals and the United States Court of Appeals for the Eleventh Circuit (GA, AL, FL). Mr. Balli focuses a large part of his practice on local governmental relations in the field of entitlements required for development which include everything from permitting to full zoning approval and has obtained approval of numerous projects with a combined value in excess of a billion dollars. Most recently, Mr. Balli is proud to represent the Atlanta Braves and their related entities in the entitlement of SunTrust Park (opening day 2017) and the Ballpark Village mixed-used development that will be adjacent to the Stadium. (www.cobbcounty.org/images/documents/boc/braves/Filed%20Application.pdf); www.mdjonline.com/view/full_story/25447325/article-5-0--Braves-in-zone-of-their-own. In addition to his governmental relations practice, Mr. Balli is an experienced litigator representing clients in federal and state litigation throughout the trial and appellate courts of Georgia and Alabama, including the Eleventh Circuit Court of Appeals. 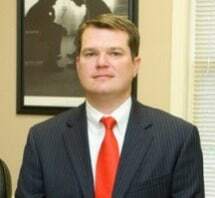 Early in his career, Mr. Balli gained experience in the area of governmental liability successfully representing the Georgia Department of Corrections and the Georgia Department of Human Resources in numerous federal and state litigation actions and now continues to represent clients in the area of governmental liability. Mr. Balli also represents numerous clients and companies in commercial litigation, insurance coverage claims, land acquisition, contract disputes and general civil litigation. Utilizing the knowledge and experience gained while defending insurance companies, Mr. Balli also actively represents personal injury plaintiffs in catastrophic injury and wrongful death claims throughout the Southeast. Representing the plaintiff, Mr. Balli has recovered verdicts and settlements for clients ranging from hundreds of thousands to several million dollars. Mr. Balli is a veteran of the United States Air Force and was attached to the 908th Air Wing (AFRC) located at Maxwell Air Force Base, Montgomery, Alabama. Receiving an honorable discharge from the Air Force, a Bachelor of Science in Political Science and a law degree, Mr. Balli became active in state and local politics working in various campaigns both as staff and as legal counsel. During the 2014 Legislative Session, Mr. Balli served as Special Counsel to the Georgia State Senate Judiciary Committee. The Senate Judiciary Committee acts on all legislation affecting judicial proceedings dealing with civil procedure and practice. Its jurisdiction also includes civil liberties as well as governmental information and constitutional amendments. In February of 2014, Speaker of the House David Ralston appointed Mr. Balli to the Immigration Enforcement Review Board (O.C.G.A. §50-36-3). The Board is a statewide board with members appointed by the Governor, Lt. Governor and Speaker of the House and tasked with hearing and adjudicating complaints of non-compliance with current State law. The Board is provided sanction power up to, and including, removing all appropriated funds from an entity, state or local, which fails to comply. In October of 2016, Mr. Balli was nominated and elected as a Board Member of the Masters of Public Administration Advisory Board for Kennesaw State University. The Advisory Board provides advice and direction to the masters’ program students and faculty at Kennesaw State University. In December of 2016, Mr. Balli was appointed by the Cobb County Legislative Delegation to the Board of the Cobb-Marietta Water Authority. The Cobb County-Marietta Water Authority is a regional public utility (2016 net position of $552.7 million dollars) that provides potable (drinking and fire protection) water on a wholesale basis to 11 retail water suppliers, one industrial customer and one institutional customer and is the second largest supplier of safe drinking water in Georgia. The Core Purpose is to provide sustainable and reliable drinking water that supports public health, public safety and the economic vitality of the region. In November 2016, Georgia voters approved a constitutional amendment reforming the Judicial Qualifications Commission to ensure fair and impartial consideration of complaints involving Judges. Governor Deal signed the enabling legislation in May of 2017 and the new JQC has been tasked with promulgating new rules governing judicial conduct, investigating complaints against judges and ultimately hearing any contested cases. Mr. Balli was appointed to the seven member Investigative Panel of the new Commission effective July 1, 2017 to a term which shall expire in 2020. Atlanta National League Baseball Club, Inc.